The ceremony for the fourth Literature Award for Migrants. Photo credit: Wei-Hsiang Wang. In Taiwan, the population of foreign workers and immigrants has been on the rise in recent years and constitutes a significant part of Taiwanese society. The total population in Taiwan is about 23 million; the aboriginal population makes up about 2.3% of the total and there are also about 720,000 foreign workers serving in the industrial and service sectors in Taiwan. A majority of these workers are from Southeast Asian countries, mainly Indonesia, Vietnam, the Philippines and Thailand. Over the past 20 years, the number of spouses from Southeast Asia and their children that are settling in Taiwan has grown in size to around 200,000. 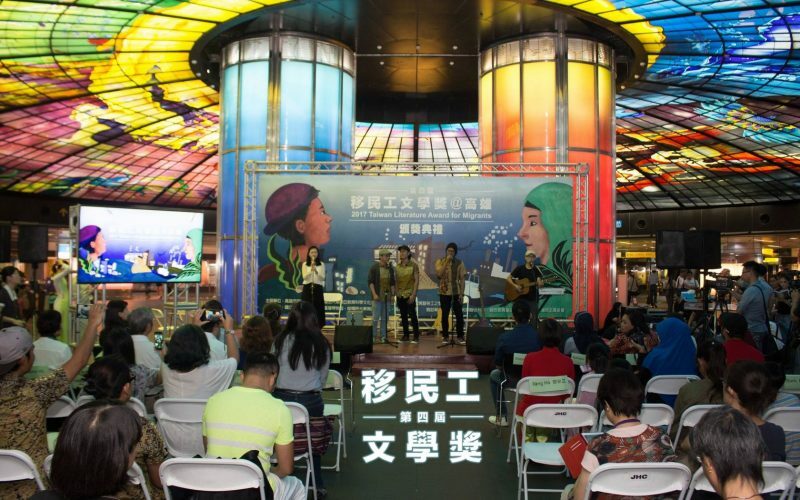 Since 2014, the Taiwan Literature Award for Migrants has been encouraging these foreign-born groups to express themselves in their mother tongues, an effort that has also allowed the Taiwanese people to learn more about these cultures and stories. The literature award was initiated by Cheng Chang the founder and former editor of 4-Way Voice, a printed and online magazine which publishes news reports in Vietnamese, Thai, Indonesian, Tagalog, Burmese, and Cambodian. The winners in the first Literature Award for Migrants. Photo credit: the Literature Award for Migrants. Since I founded 4-Way Voice, it has become a platform for migrant workers who do not speak Chinese to exchange information and express their longings for their home countries. It not only serves them as a news report in their mother tongues but it is also a friend who listens to their voices and a bridge that connects the Taiwanese and people from other countries. Since we started, 4-Way Voice has received a lot of letters from migrant workers all over Taiwan — on average about 5,600 letters per month. These letters accumulate like snowflakes. Therefore, considering the diversity and energy in their creativity, we planned to set up a long-standing literature award so that they can make their own history through writing. 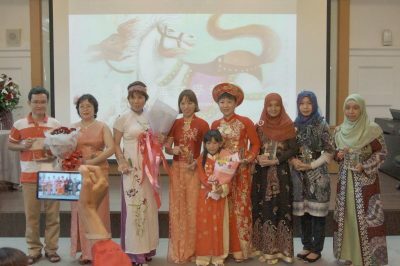 They can build up new literature traditions for stories about two home countries (for foreign spouses), about the offspring of two countries (for the second generation), and about diaspora (for migrant workers). Currently, this literature award receives articles written in Thai, Indonesian, Vietnamese, and Tagalog. Because most of these writers are away from their homeland, many of the stories are about the longing they feel for their family and homeland and their sorrow when they hear of a loved one's death. How would I know that just after eight months of arriving in Taiwan that Mom would pass away? You were worried that I would be shocked and become sick in the foreign land without the support of loved ones, so our family hid the news from me until I heard it from a friend. Dad, I was so shocked as if I was hit by lightening. I felt dizzy as if the ground crumbled beneath my feet. I cried, Mom…Mom…How could you leave your child…Why didn’t you let me know? Where can I find you? Mom…dear Mom! You waved at me when I left, but when I go home, you will not be there to welcome me. At first, they just wanted to let the captain know that he was wrong and to teach him a lesson. However, when he wasn't looking, an iron rod, held by Sardi, accidentally hit the captain on the back of his head. He fell down. Learning that their opponent rendered immobile, Wasto and his buddies slumped. They were satisfied to knock him out unconscious. Soon after, Sardi approached the blood-covered body of the captain. Howling, Sardi took two steps back. Limped and slumped. He was rendered speechless. To his buddies, he pointed to the direction of the lifeless captain. Learning that, the crew was in panic. Someone checked the captain's pulse. Another was trying to hear his breathing. Another thought that he was just unconscious. Another was crying in fear. Hearing the frenzy, two men went out of the steering room. Their eyes were broadened after figuring out what happened. The captain was truly dead. The navigator informed the nearby maritime police station. The Maritime Police took us away, followed by many tiring trials, and finally the sentence was announced. This is what really happened, ma'am. We were enraged, we had reached the limit of our patience.’ Wasto said softly, with tears in his eyes. 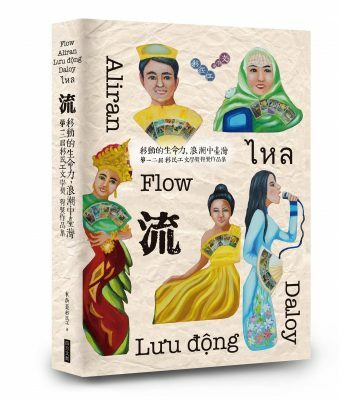 The book ‘Flow’ collects the selected articles in the first and second Literature Award for Migrants. Photo credit: the Literature Award for Migrants. Now I have the income to make my family live a better life and make my two children go to the college. I even have the opportunity to earn an undergraduate degree. I have money to buy an electric guitar. I like to play it. I brought the guitar to play for social services in various places, including the prisons across Taiwan. This afternoon, after finishing her job in the immigration office, Dung went to pick up her son at school. The mother and son went to the market to buy some food for dinner before going home. The streets this afternoon are deserted. Those longan trees on the streets were full of fruits before, and now they have green leaves like they were new. ‘Son, was there anything interesting at the school? Hung was sitting behind and hugging his mom. Hearing the question, he starts talking. Some stories are about tragic incidents that shocked the whole country. In 2014, a mass stabbing spree took place in the Taipei Metro and Erin, from Indonesia, wrote a story inspired by the event. I saw a young man in red clothes waving his knife aimlessly and trying to kill everyone close to him. Several people fell down after being stabbed by him and others tried to run away as soon as possible. They threw things at that guy. Grandpa [who I take care of as my job] and I and other elder people were at the end of that cart, but we had no way out! We were doomed! I did not know the number of people lying in their blood on Metro. I was thrilled. I felt the God of Death looking at me. I curled my body behind a wheelchair. Oh. I tried to hide myself helplessly. But I was very scared. I did not expect to experience such tragedy in a place so far away from my family and hometown. One day, the daughter of my boss saw me wear hijab. She looked unhappy and told me to take it off. She asked me to go to her room and let me see a video on Youtube. She explained to me the Chinese funeral customs [and how a hijab might look like something used in the funeral]. I felt very sad and depressed because I was asked to take off my hijab. I wear what I used to wear, but in my mind, I want to wear my hijab and be a good Muslim. Suddenly, I remember the letter grandpa wrote to me. When I was busy doing homework assigned in the school, I wrote to the daughter of my boss in simple English. I believe she can understand what I wrote in the letters. I explained the duty of Muslims. Wearing hijab is an order from Allah, and it is the most important principle for women to obey the religion, which will make me more patient to take care of her grandpa, kinder, and more honest. I cried happily on my knees. I held her tightly and agreed to expand my contract. In addition to continue my education in the college, I can pay back my debt. Thanks Allah. This is true. If we pray with our heart and keep working, Allah will answer us. I want to experience life here to the fullest so that I can share this knowledge with my fellow Filipinos back in the Philippines. I will continue my writing. But this time, I will write my own story, a life story that has been enriched by different cultures. To realize my dream and to bring a bright future to my family, my heart has been stronger. If I didn’t leave my country, I will never discover that here in Taiwan, I also have fellow Filipinos who found love and built their own families. That it is possible for people to be friends with those who belong to a different race and culture. This is still a long trip for me here but my heart is at ease in this second home I found in this country. Step by step, all my dreams will come true. There is nothing better than to see the fruit of all my hard work even if this means I have to wait for a long time. Even if I was unable to get a white-collar job here, I want to salute all ordinary workers in Taiwan. Our job is not easy. Without perseverance and endurance, we cannot make it no matter how smart we are. Every time I feel sad, I just think that each passing day is a day closer when I finally get to see the smile of my mother and embrace my family. ‘Grandpa, I reached the end of the fields. I did not walk like we discussed because I found that I can fly. Thank you for being the first to teach me that I can do whatever I want to do. I also learned that there is a new life waiting at the end of the field. Every ending is made for a new start. Acknowledgment: Special thanks to Global Voices’ Southeast Asia team, including Mong Palatino, Juke Carolina, and Don Lê, for helping to revise the translation.